The third in a series of articles where I dismantle a telephone to show its construction and pass my own opinionated comments on the design and choice of material. 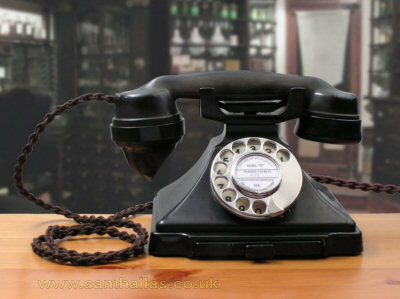 The Telephone 162 was the first to be adopted by the British Post Office in 1929. It was based on a design from Siemens Brothers which they chose to call the 'Neophone'. The model standardised by the BPO had minor differences and went by a more prosaic name of the 'Microtelephone'. Apart from the differences in the transmission circuit the 162 and the 232 differ only in cosmetic aspects. Both required a separate bell set, not having an internal bell. The 162 required a bell set with an induction coil, such as the Bellset 1 or the Bellset 25, both were used with its predecessor, the 150 candlestick telephone. Tele 232 was produced in 1934 and used the simpler Bellset 26, containing just a bell and capacitor. Both these illustrated instruments were CB - without a dial - when I received them. I have added a dial to the 232 for illustrative purposes. The design was quite revolutionary at the time with its clean curves, moulded entirely in the modern wonder material, Bakelite. In my opinion the question should be "why plastic?". What stimulated the change from traditional materials – steel, brass and wood? I think there were two main reasons. 1. From a design point of view it was time to move on. Using plastic gave the designers almost unlimited scope in the shapes and sizes that could be achieved. 2. Mass production. Increased demand for telephones meant that the intensive processes needed for traditional materials were too slow. Once a mould has been made, vast quantities of identical plastic parts can be rapidly produced. In retrospect Bakelite has proved to be a remarkably durable plastic. Parts produced eighty years ago are still serviceable. Compare that with some more modern plastics which start to disintegrate after as little as twenty years. 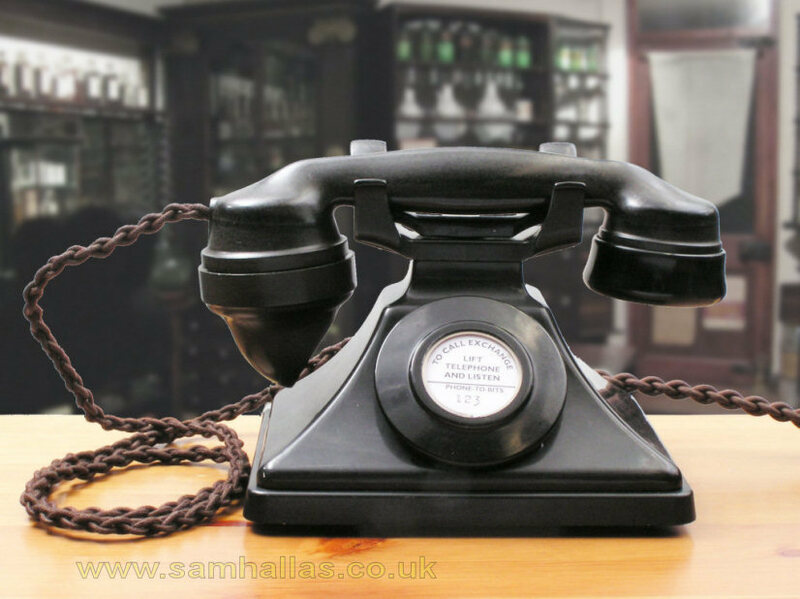 Bakelite has a limited range of colours, it is true, but they don’t tend to fade in the rapid way that modern plastic colours do. Bakelite is dimensionally stable and very strong. It leaves the mould with a shine requiring no further finishing. It’s main disadvantage is brittleness and I find it very difficult to glue together once broken. The main case moulding and various other parts are identical for the two models. Because of the ready interchangeability of parts, telephones that have been in service with the Post Office are unlikely to retain the distinct differences. Originally there was a slight difference in the cradle rest between models but the examples here have identical cradles. The 162 first came with a plain base and additional lead weight: the 232 was fitted with the same base but without the lead weight, however the 1/232 was normally fitted with the drawer for instructions, as seen above.